Near the end of the 1980s, the five founders had to make an important decision about the future. Should they continue relying on volunteers and holding their board meetings in a kitchen with a filing cabinet? Or should they take a step towards professionalisation? The latter would imply Mama Cash becoming a formal organisation with the expectation of growth, a future, employees and a hierarchy. Despite a temporary, yet alarming, financial setback caused by the 1987 stock market crash, and despite the tax department unexpectedly charging capital transfer tax on Mama Cash’s start-up capital, Mama Cash was already outgrowing her kitchen table. But she still fancied herself an outsider, who happened to have money at her disposal. Mama Cash had to evaluate her self-image. The founders, who were still working as volunteers, could not keep up with the number of inquiries and grant applications. 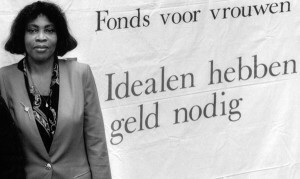 With the resolve never to become a mainstream, bureaucratic foundation, Mama Cash hired her very first paid staff member in 1987: Jos Esajas, a Dutch Surinamese woman. Her task was to support the volunteers and perform administrative tasks. Her work was key to the success of the Guarantees Working Group, the predecessor of the Mama Cash Guarantee Fund. In 1988 Mama Cash moved into her much needed first office space in the STEW (Support Centre for Private Work) building at the Weesperzijde 4 in Amsterdam. Because of the media attention she had attracted, and her reputation in the feminist movement, Mama Cash had come to be respected as a leading authority on the subject of women and money. In 1989, she hired her first intern, Will Jansen. In the beginning of the 1990s, the acquisition of a PC with a simple database signalled the start of a period of technological advances. As the available resources, the number of grant requests, and the organisation itself started to grow, so did the need for sound bookkeeping and financial accountability. 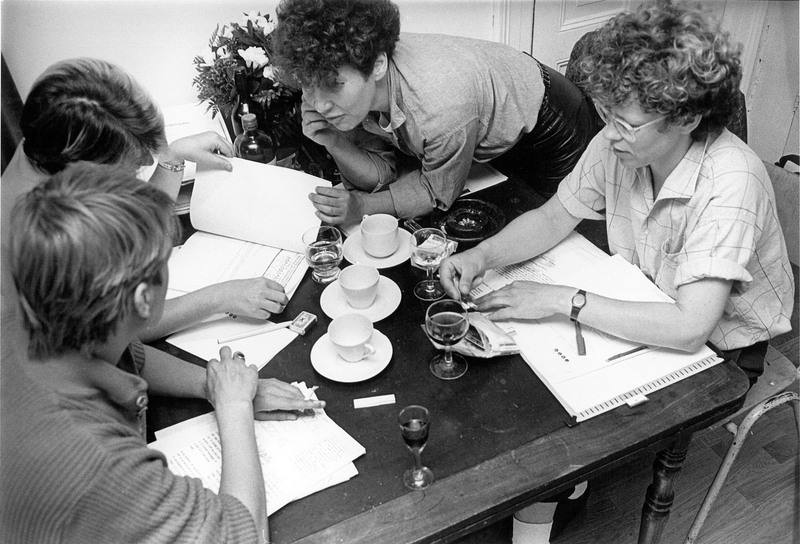 The launch of the Guarantee Fund in 1987, with the mission of evaluating requests from women entrepreneurs for Mama Cash to provide guarantees to financial institutions, underscored this need. Mama Cash approached a network of women in the financial sector with the aim of finding expert assistance. Financial specialist Louise van Deth responded. ‘I was working in a formal and commercial financial world that was dominated by men. I wasn’t an active member of the women’s movement, but I did have a rebellious disposition,’ Van Deth says. (watch interview) Mama Cash and Van Deth got along very well. Initially, she was involved in the organisation’s Guarantee Fund, and from 1990 on she served as the Mama Cash Foundation’s Treasurer. When Mama Cash was founded, she had the interest from Marjan Sax’s 2.5 million guilders’ loan (1,190,000 euros) at her disposal for a period of ten years. Since there was no cause for financial concern during those first years, Mama Cash had been able to focus on developing relevant policies and working strategies. But before long, raising funds would turn out to be a necessity: after ten years Mama Cash would have to start paying back the 1983 interest-free loan to founder Marjan Sax. Financially she would have to stand on her own two feet. Additionally, having chosen to become an organisation with paid staff members and an office, she had overhead costs. The women of Mama Cash also started to realise that, if she wanted to change the world, she had better think big. On top of that, she was still rattled by the 1987 stock market crash. For all of these reasons, in 1989 they decided to start raising capital of her own through private funding. Marjan Sax was employed as a fundraiser. Fundraising activities were quickly successful. In 1989, Myriam Everard, a member of the network Women with Inherited Wealth donated a substantial sum to Mama Cash through a multi-year legally binding donation. 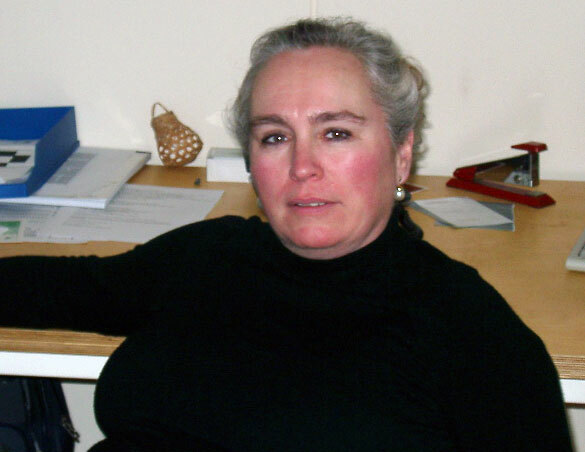 Johanna, another member of the network, followed in 1990 with a 10-year loan of two million guilders (950,000 euros), the interest was for Mama Cash. 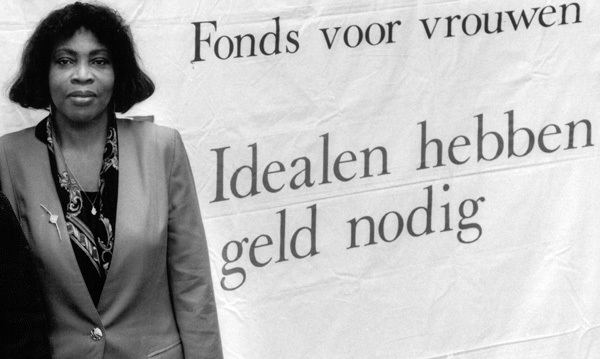 Dutch organisations had no experience yet with promoting ideals such as women’s empowerment. 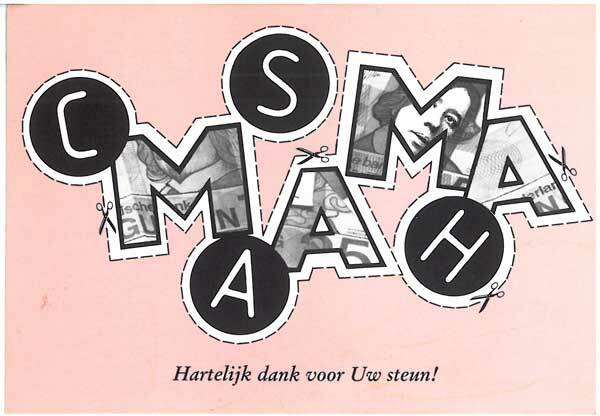 In 1990 Mama Cash initiated the campaign ‘Mama who always gives, wants to ask you for something this time’. Marjan Sax: ‘We were experimenting. It was trial and error’. Mama Cash sent off two mailings to women and men who she thought might have an interest in the organisation. Her first experience of raising funds was an incredible success. She raised more than a hundred thousand guilders (45,000 euros) in individual gifts. In 1990, Mama Cash changed her organisational structure. Instead of remaining one single foundation, three separate, but closely linked foundations were created. Each of these had their own Boards. The Guarantee Fund focused on women entrepreneurs. The Culture Fund broadly included anything related to feminist activism. The umbrella Foundation, Mama Cash, affectionately called ‘Grandma’, had financial management and fundraising as its main responsibility. The Board of the Mama Cash Foundation included representatives from the other two foundations. Once a year, all of the women who were active within Mama Cash gathered in a General Meeting at which annual plans of the three Foundations were discussed and the policies were aligned. During the period 1987 – 1990 Mama Cash granted 243,000 euro to 246 groups. In 1990, 16 volunteers and two part-time paid staff worked for Mama Cash.